Sorry I’ve been traveling for work (and pleasure on the weekends!) and haven’t been able to write. Here’s a little something to hold you over for a while. Check out my sister’s post on an AMAZING bachelorette weekend with the best girlfriends I could ask for! Thanks girls for all the hard work and planning that made me feel so special and loved on a dream of a night. So glad to catch up with my girlies! 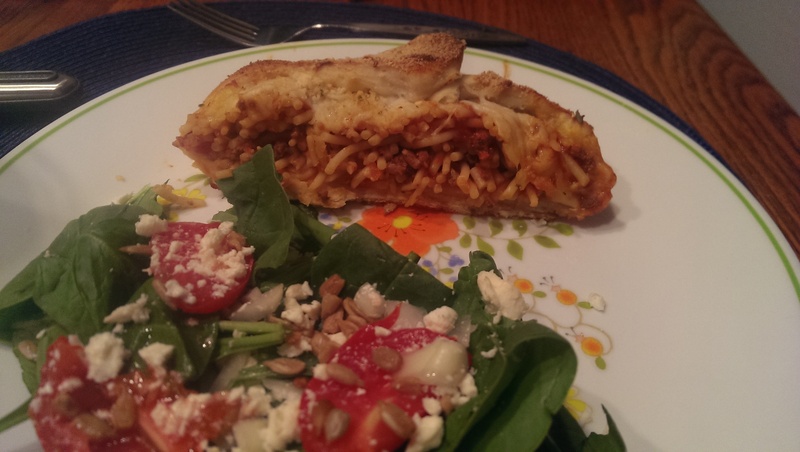 I love trying new recipes, and this one was definitely a keeper! I made it once before and was a totally hit. 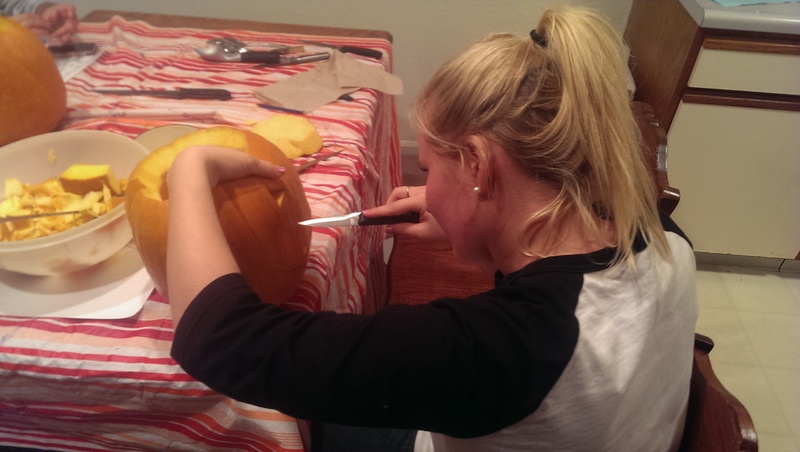 So of course I had to try it again for this week for a fall dinner with our friends complete with pumpkin carving contest (Click here to read and vote for the winner). 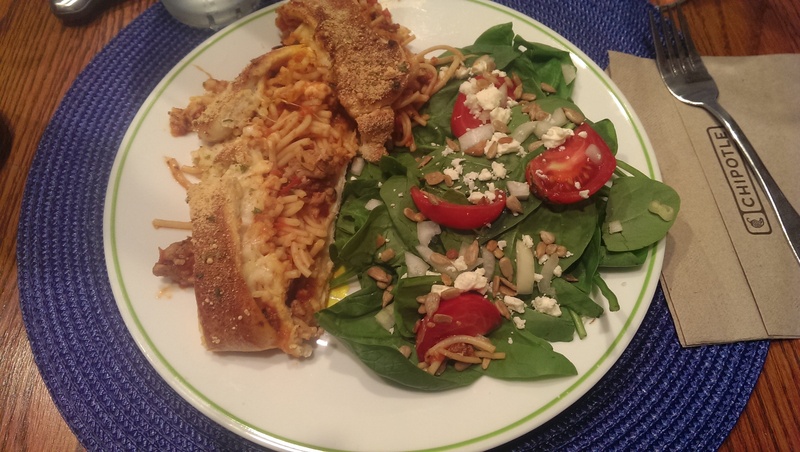 My fiancé, George, loves spaghetti , so I knew he would enjoy the twist on this classic dish. I hope you enjoy! PS I will post a more lengthy explanation with pictures, and then a compacted version below that would be easier for printing. 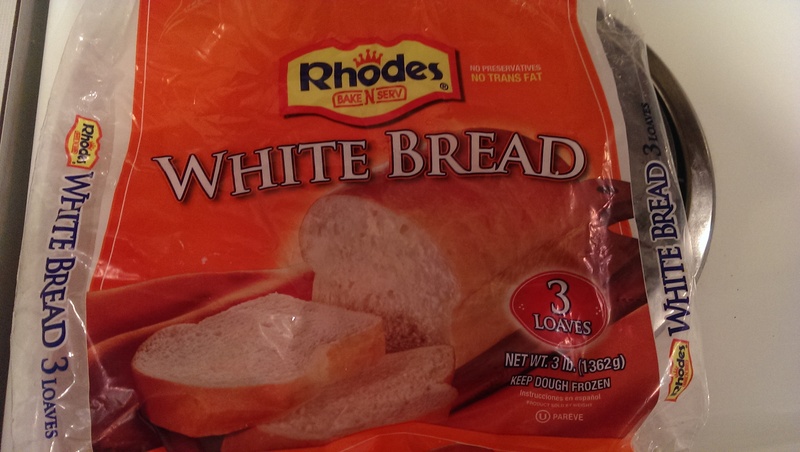 Start with a Rhodes frozen loaf (you can also make your own bread but these frozen loaves are so easy!) I took mine out of the freezer in the morning to the counter to thaw, but if you are in more of a hurry , placing the loaf in a plastic bag in a bowl of warm water works well too! 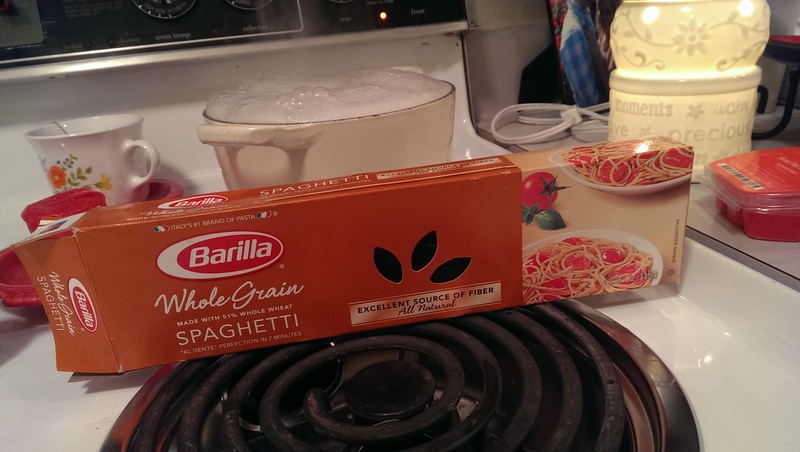 We will fully cook the spaghetti before baking it in the bread, so I start by turning on the water to boil. 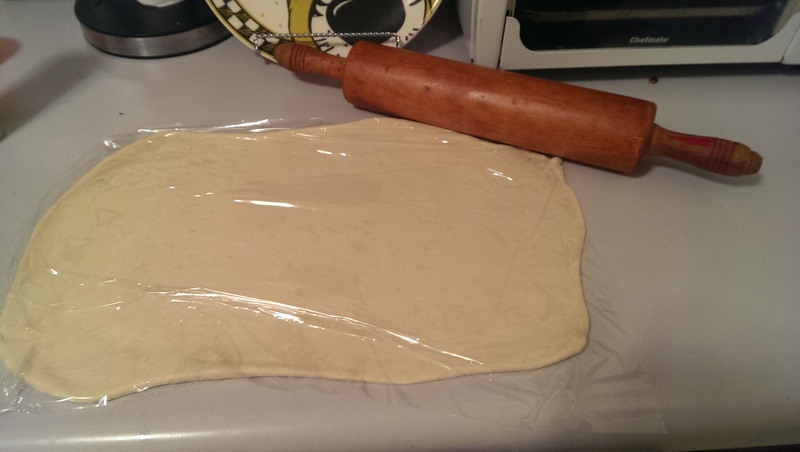 Once the loaf if thawed roll flat with a rolling pin until it is in a rectangle about 12×16 rectangle. This is probably the hardest part of the whole recipe. Be patient, keep rolling, it will get there! Once you reach the desired size, spray a little non stick spray on the dough and cover with plastic wrap until you have finished cooking the spaghetti. While the dough is sitting, and noodles are boiling begin cooking the meat. 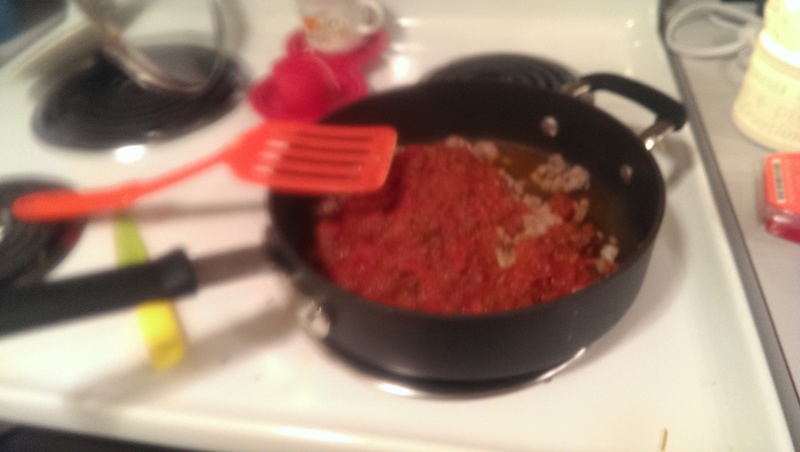 Thanks to my mom, I had a jar of delicious home made spaghetti sauce from homegrown tomatoes, and venison. I hope to get the exact recipe from her to share soon! When I am not so lucky, and don’t have the time to home make sauce, here is what I do. I recommend ground turkey as a leaner alternative to ground beef. At my house we also used ground venison (my favorite). 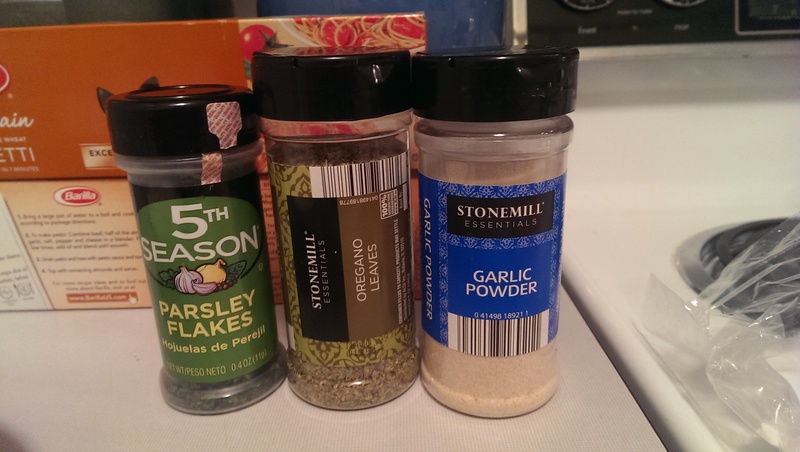 I like to add garlic powder right into the meat as it is browning. 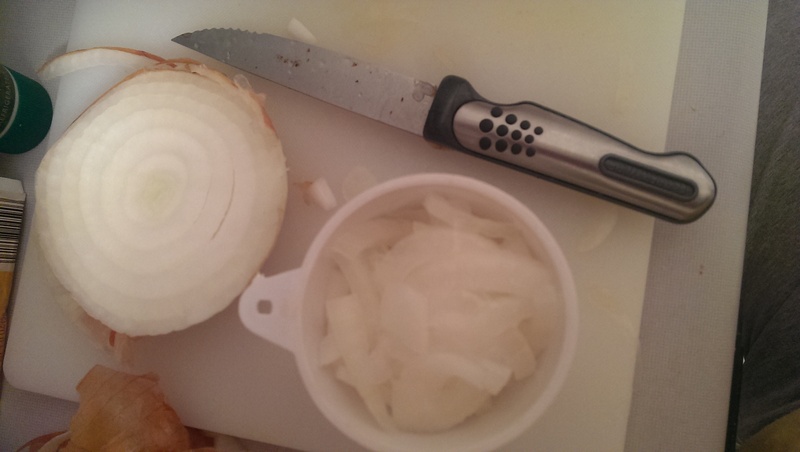 I also add a little finely chopped onion and oregano. When the meat is almost browned, I add in a jar of red sauce. Like I mentioned before, if using whole wheat noodles, be sure to add a little more sauce than usual. 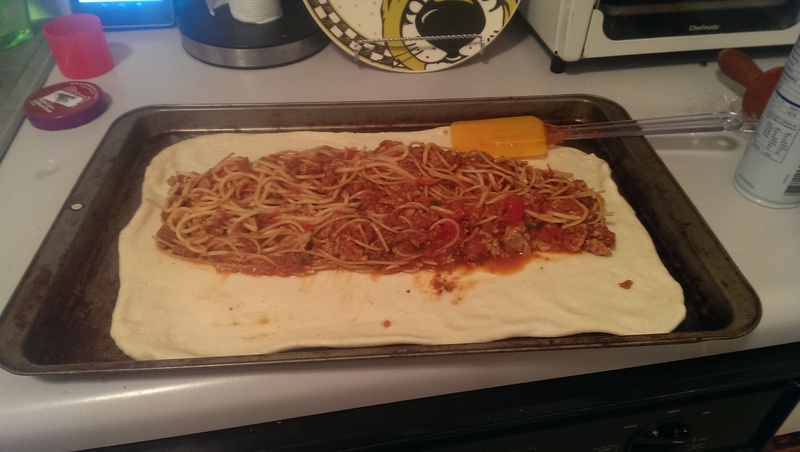 Once the spaghetti is made, transfer the dough onto a backing sheet. 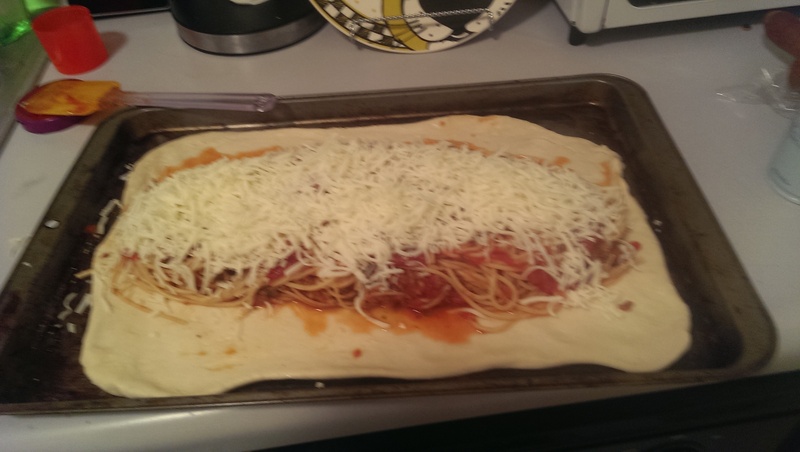 Lay the spaghetti down thickly through the center of the dough. Leave a couple inches on either side for the braid. Lay a thick layer of mozzarella cheese on top of the pasta. Now cut 1 inch thick strips down both of the sides. Raise the strips and bring them to the top. Add a twist for a fancy look. 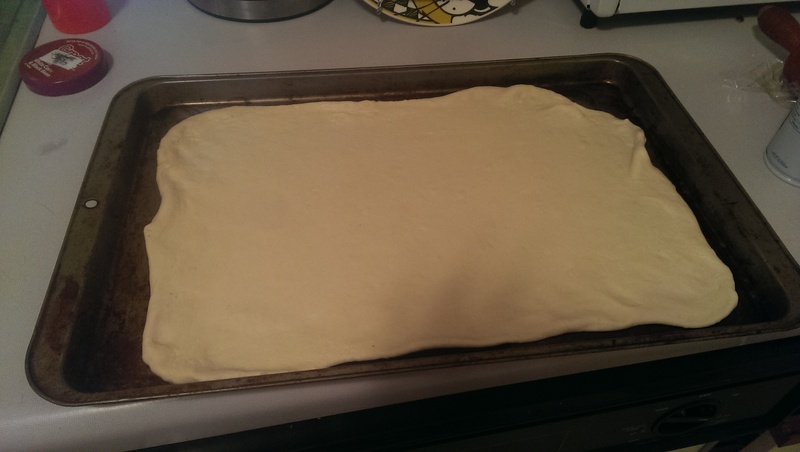 The dough might not stick the way you want, but I assure you, it will stay. Now I separated an egg white into a tea cup and lightly crushed the top of the loaf, then added more garlic powder, parmesan cheese, and a sprinkle of oregano. Let sit for 5 or so minuets before serving. 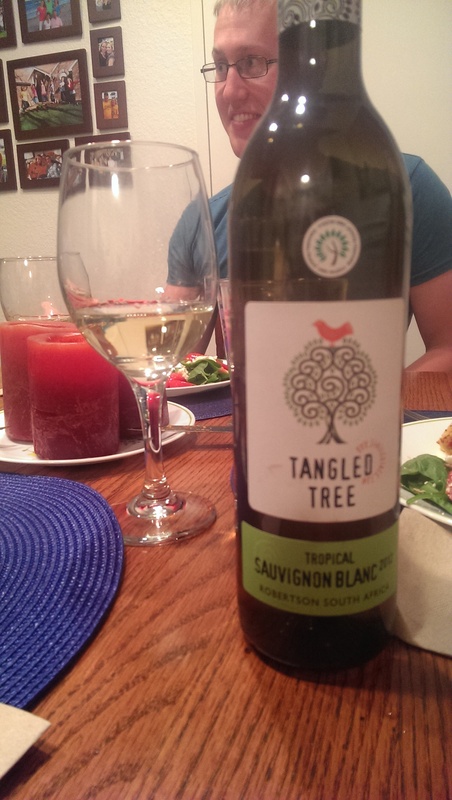 It goes great with a salad, a bottle of wine, and some lovely friends! Serve with salad and wine! 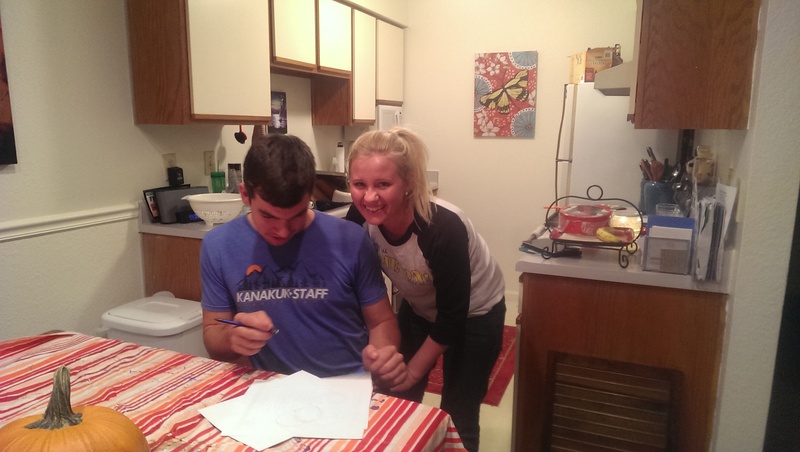 Today George has a job interview in KC! I am so proud of him and so excited I was able to see him in the middle of the week! What a treat! 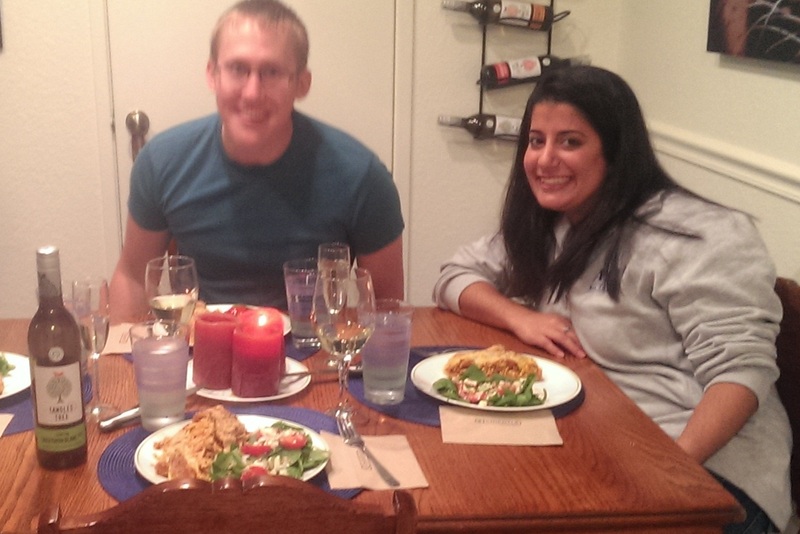 He was able to come in town yesterday after classes so I made dinner for us and our friends Nathan and Banoo. 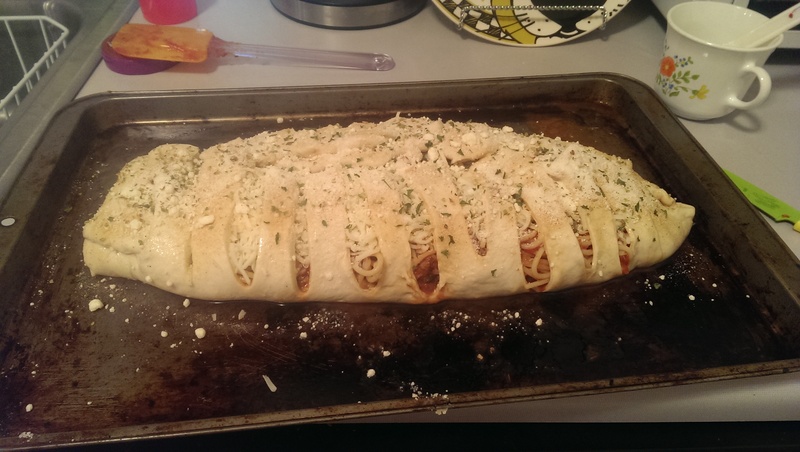 I made a spaghetti garlic bread braid, salad, and we opened a bottle of wine I brought back from South Africa. I will post the recipe tomorrow with pictures. 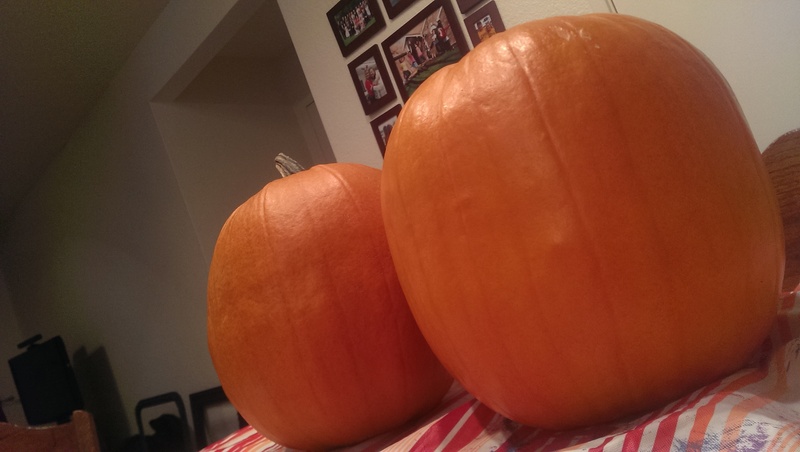 I brought home some pretty pumpkins from the monthly market at my work. (Local farmers bring in fresh produce and home made breads, salsas, and goods. After dinner we had a careful design planning meeting. Then we got to town on the masterpieces. 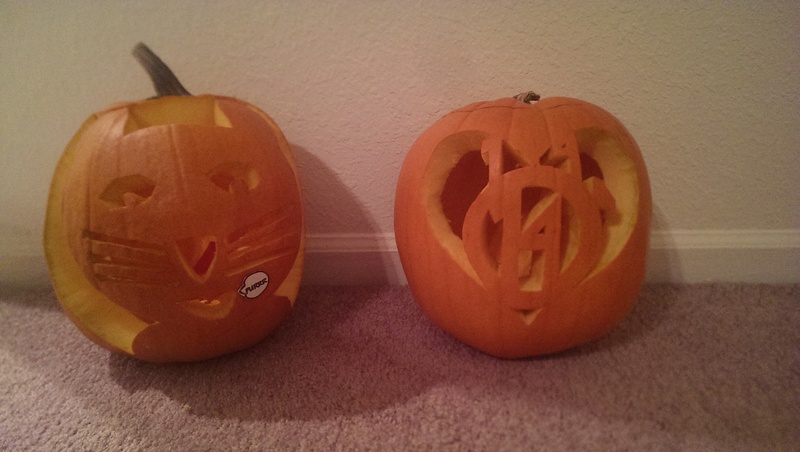 And here are the final products. 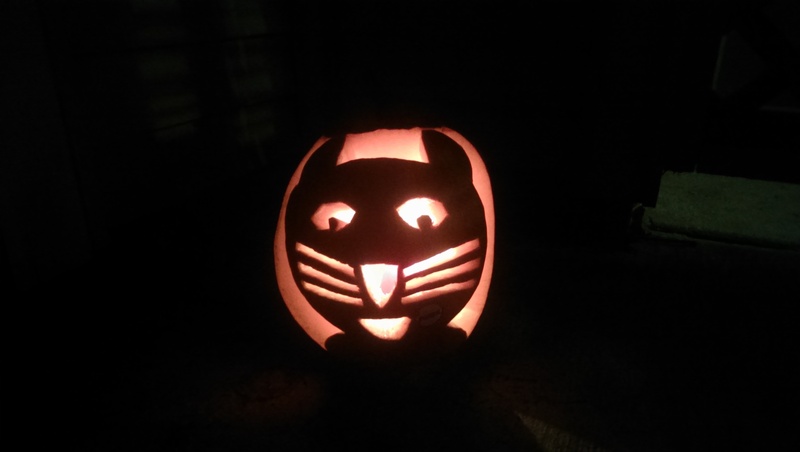 At first glance, this amazing pumpkin may appear to be a cat. You may say, “Well its purring” and “Sure as hell looks like a cat”, but you would all be wrong. It’s clearly a fox. 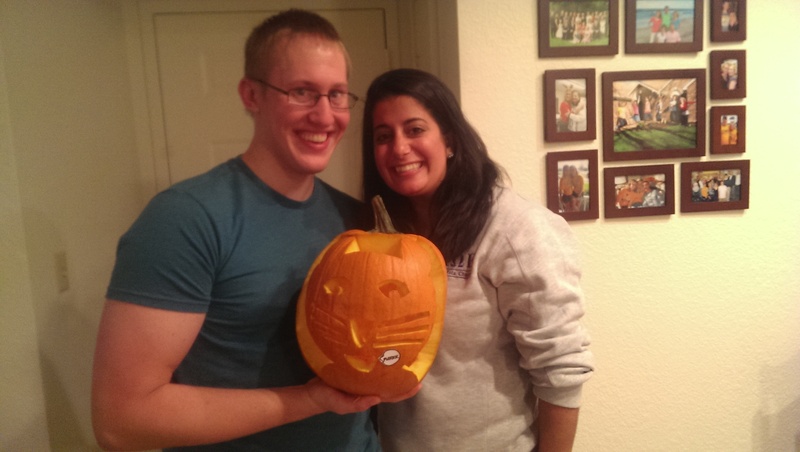 And we sought out to answer the age old question of what does the fox say? After an hour of cutting away and structural stability analysis , we finally arrived at the answer. Turns out a fox just says purrr. Who knew? 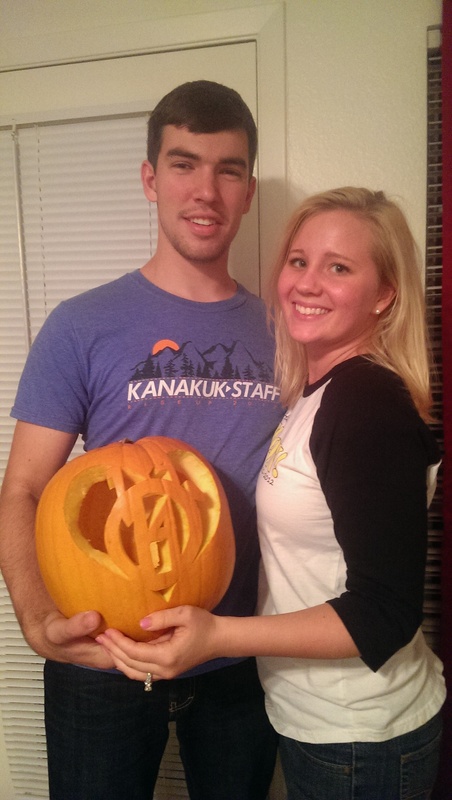 Our pumpkin depicts a heart surrounding a very special date: our upcoming wedding date! 1/4/14 We designed the date around a diamond ring. 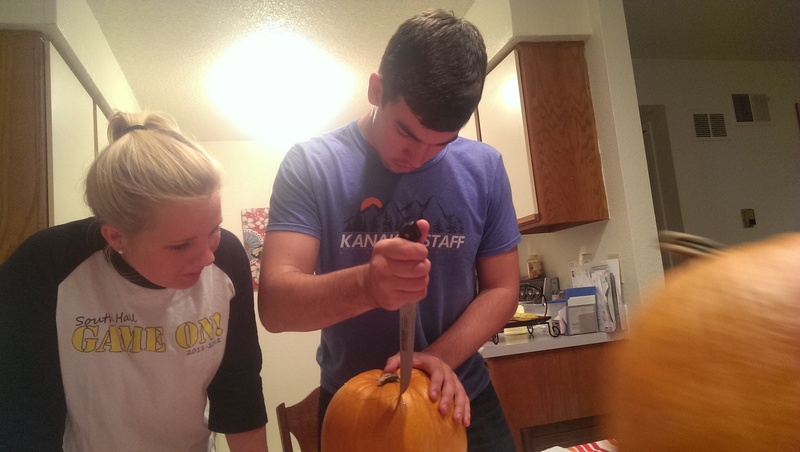 Using Julie’s idea, and George’s precise design we used team work to make sure the pumpkin was stable and plenty of light would shine through. 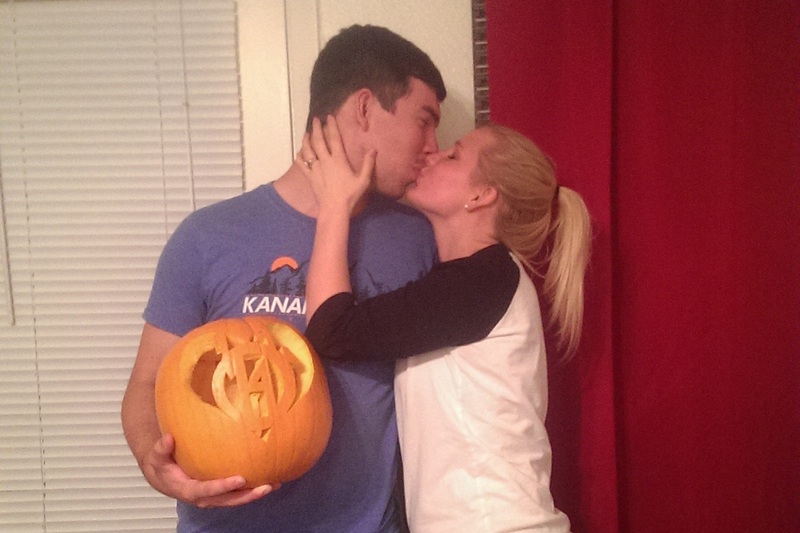 Yay for autumn love! Vote for which one you think is the winner by going to this poll here, or commenting below (tell us why you liked it too!) Only one comment per person will count, but vote on the poll as many times as you like. Here is a link to copy and paste into your browser if you have not yet voted! 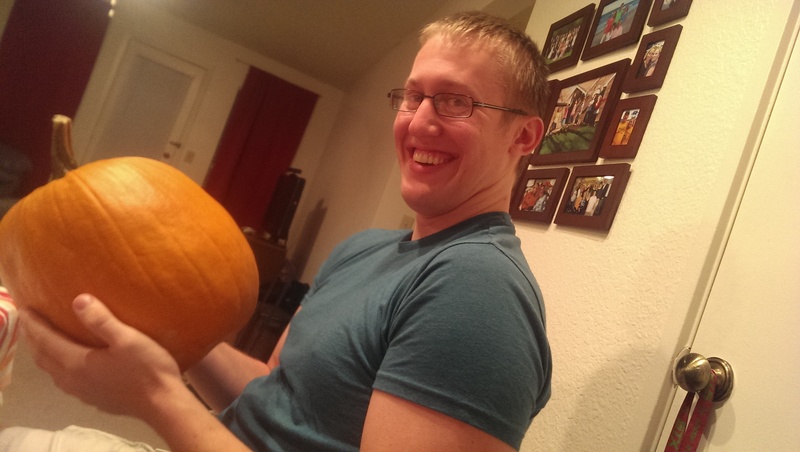 Fall is here, and I have mixed feelings. I LOVE summer. Bring on the heat. Bring on the sun. I won’t lie, I am sad to see it go. There are a few things good about the fall. Beautiful colors and decorations. George and I went to visit some friends of ours a few weekends ago. 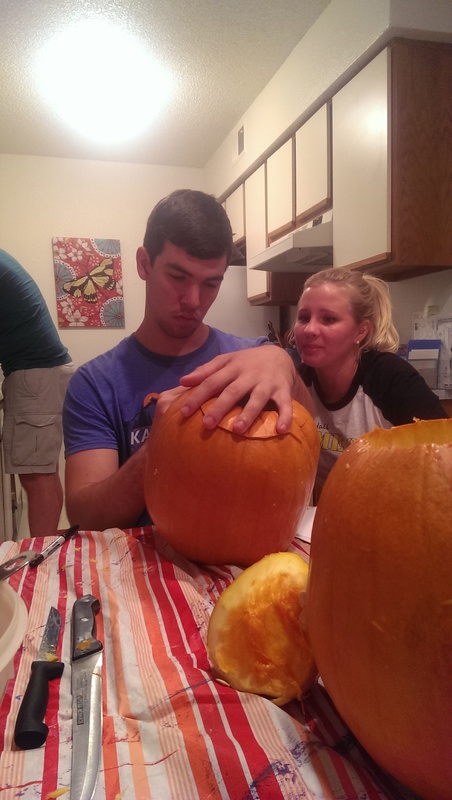 Trent (George’s best man) and his wife Katie (would she be considered the best first lady?) have the most beautifully decorated house. She posted here on her delightful fall décor. Isn’t it the cutest? 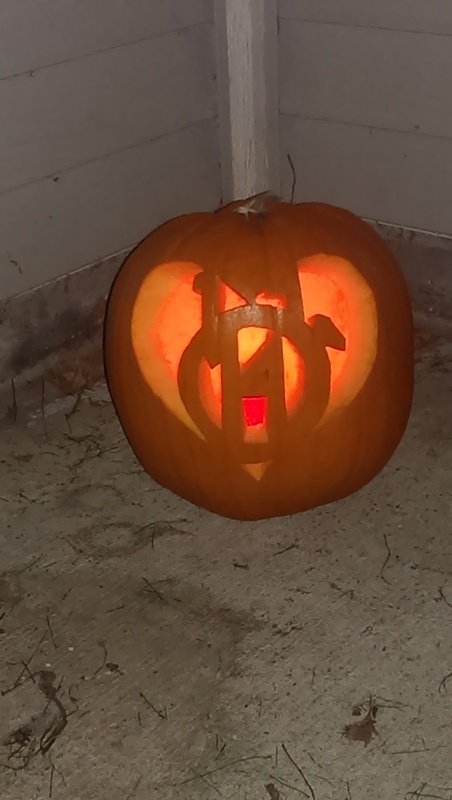 It really set the mood for fall on the first chilly weekend we had here in the Midwest. I thought I would share my décor here. 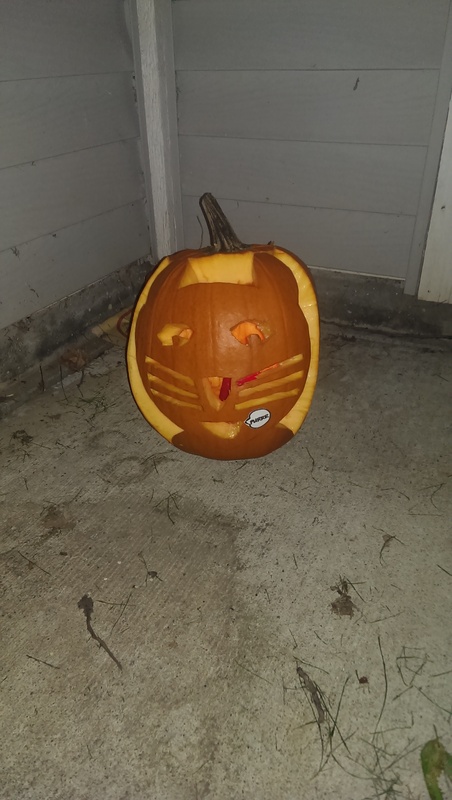 This is a paper pumpkin my mom made and taped onto a bag of candy for a Halloween treat. 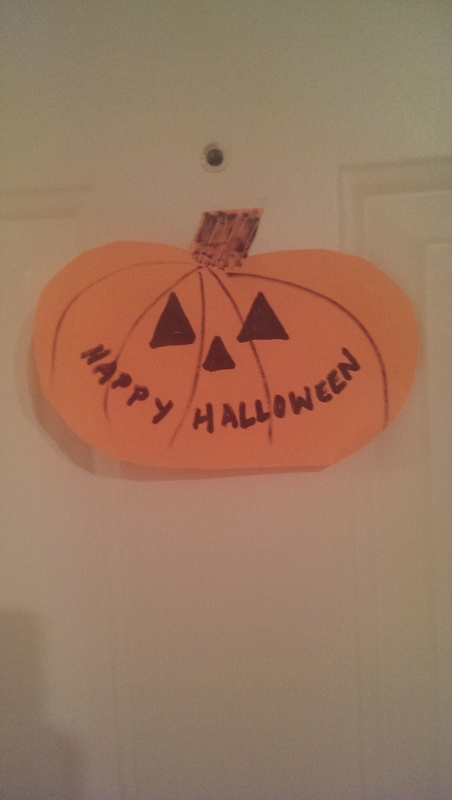 I so craftily taped it on my door. 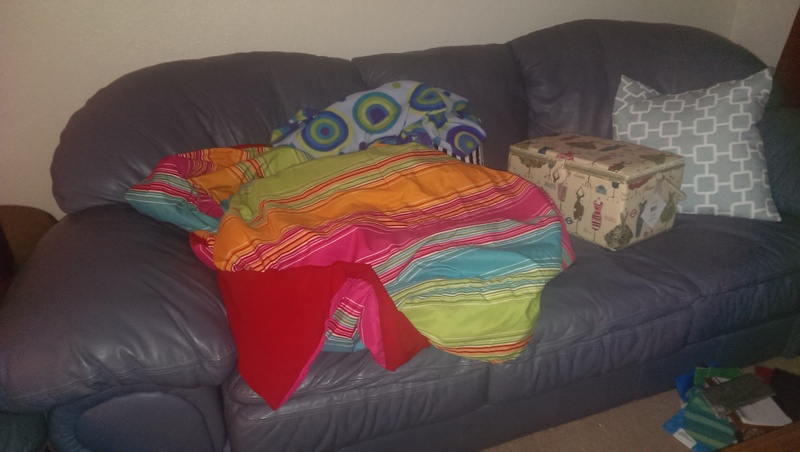 This blanket on my couch has some orange in it. Festive right? And here is my favorite fall decor. 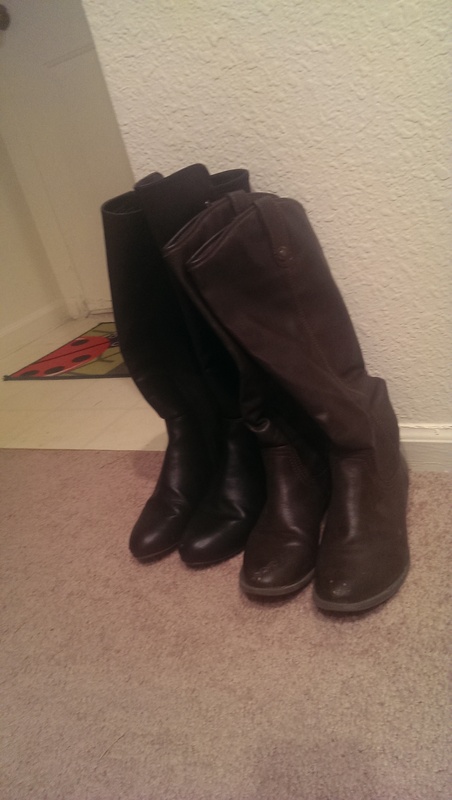 Boots, by the door! Doesn’t it just make you want to jump in a big pile of fall leaves? On to my next point. The boots. I have a boot fetish. I currently have 12 pairs in my closet. 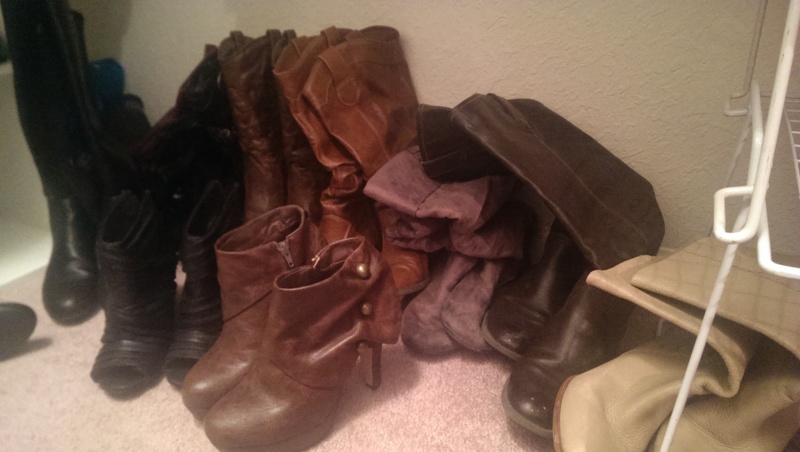 Fall = the beginning of boot season. I have ridiculously small feet which means my size goes on clearance very cheap which means more quality boots for less money! 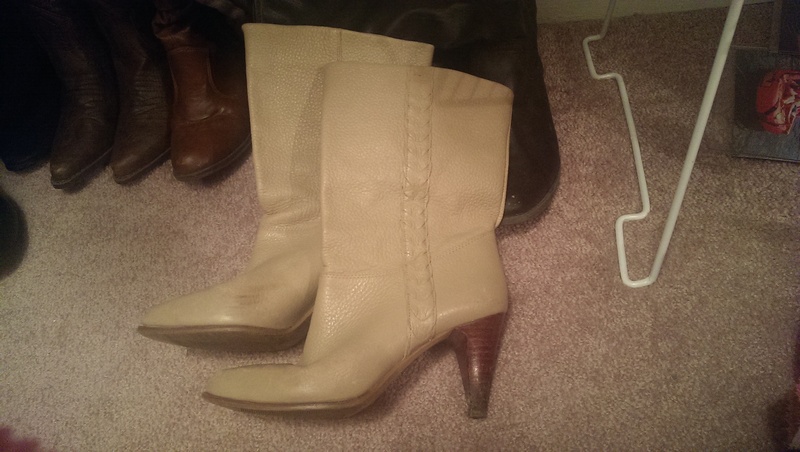 This pair belonged to my mom in college. She also has small feet and good taste in boots! Lucky for me she takes care of her things. Yay for real vintage! 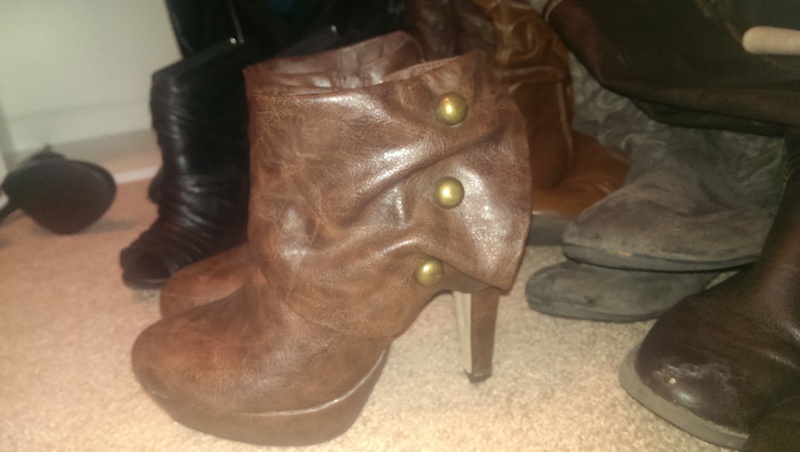 These little booties I got at the end of last season, on clearance of course. I only got to wear them twice before the weather changed. I am excited to put some miles on these guys. 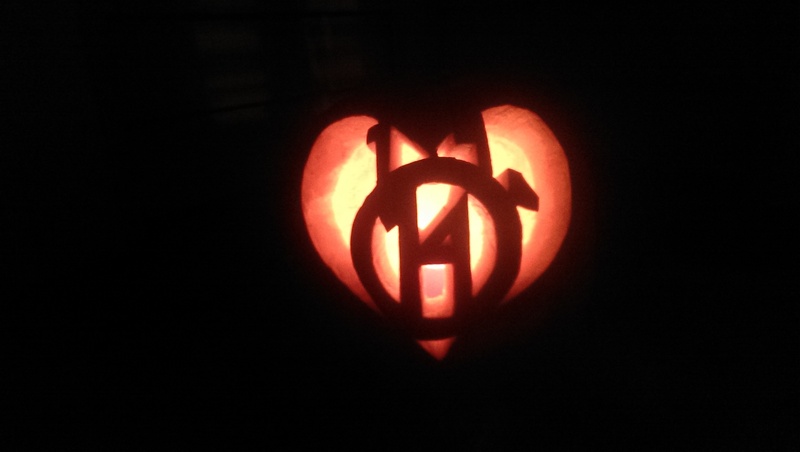 Oh and Halloween. I love dress up. I love candy. I love bonfires. Halloween ranks up towards the top of my holiday list. Yup that’s all I got for now. 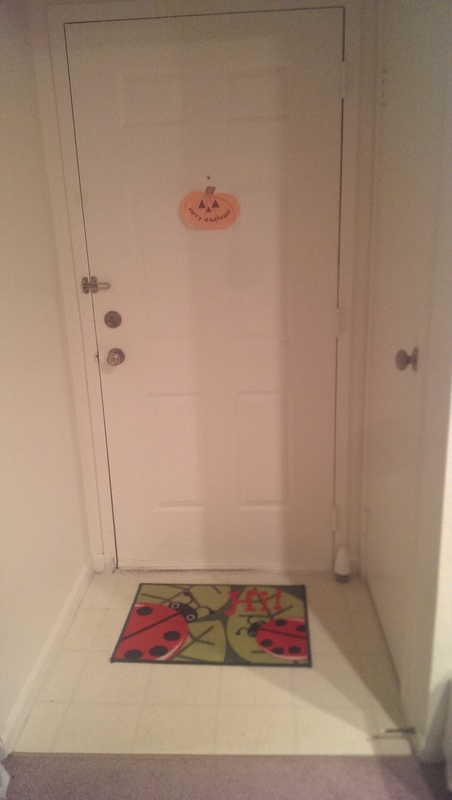 I hope your house looks a little more festive than mine. Well see about next fall! I don’t know about you, but my life has been busssyyy lately. Well who am kidding, I think I have found a way to be busy since I was born. I am a do-er and like to be busy, and if things seem to slow down, I find myself getting involved in something new to fill that gap. With my new job keeping my busy all day, and my evenings and weekends have been full of wedding planning. Even though I like to cook, I find that I don’t always have the time or energy. 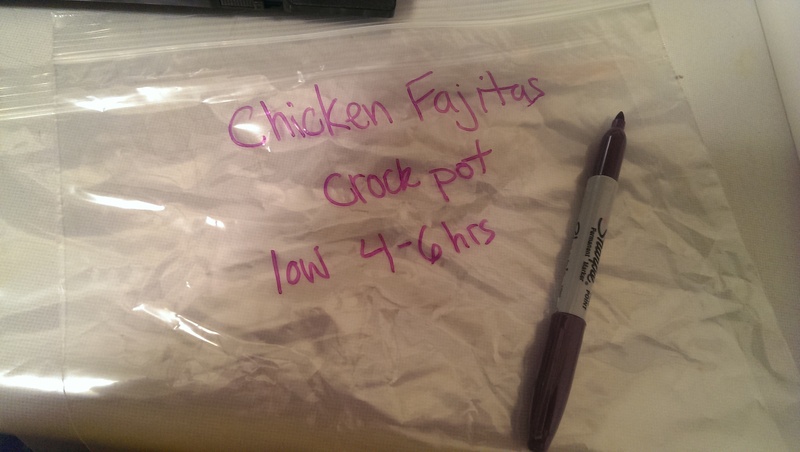 A couple weeks ago I decided to try out a few crock pot recipes that I could prepare in advance, freeze, and just pop them into the crock pot in the morning before work. This was the best decision I have made in a while. Even after a hard day at work, I can walk into my place, it smells incredible, and a delicious meal awaits me…no hassle required. Its like living with my own personal chef…or my mom…depending on how you look at it. 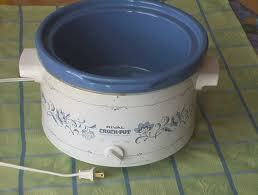 If you don’t have a mom, or wife to have a hot meal ready when you come home: I recommend you invest in a crock pot. I had two free evenings so I spent one night looking up a couple recipes that sounded good and easy, surveying my pantry, and shopping for the goods. On night two I got down to business. I choose two easy recipes so It didn’t take long at all. Since my fiancé George takes me out for dinner often when I am in town, I thought it would be nice to whip him up a few meals too so he could have some home and healthy cooking after his classes. 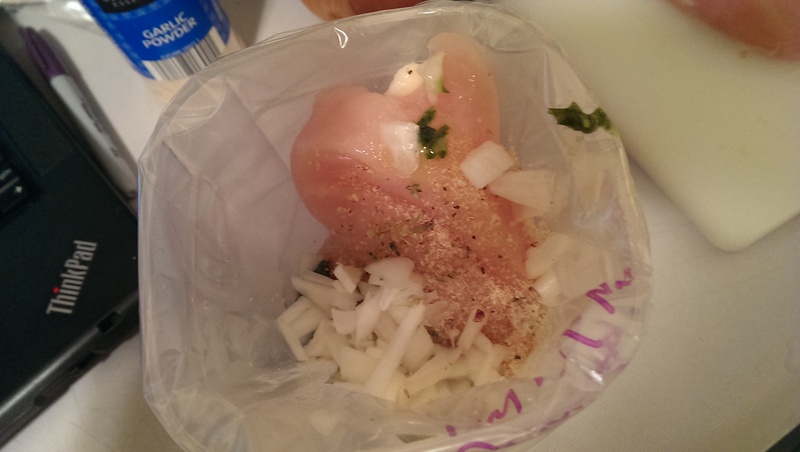 Both of the recipes turned out very well, and the chicken was so juicy and easy to shred! There really is no wrong way to make these meals so change up the amounts based on your tastes or number of mouths you are feeding. Add flavors you like. Let me know if you have a suggestion! These meals are so easy to just pop everything into a zip lock freezer bag, so here are the ingredients and some tips, its hardly a recipe. 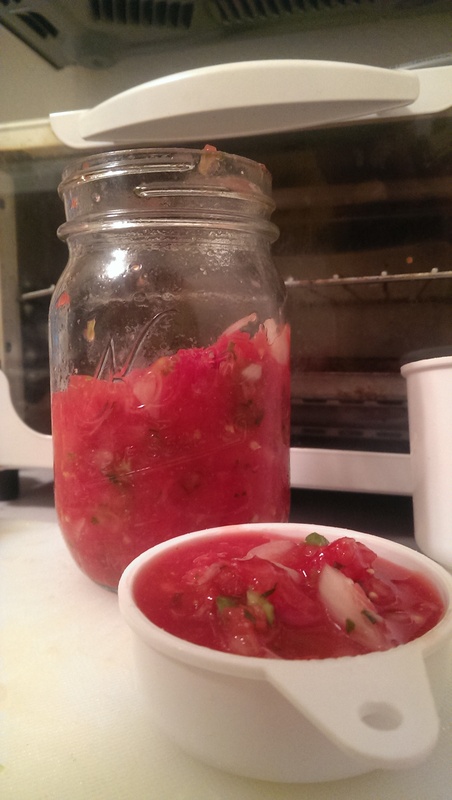 Salsa (I used about a cup because I didn’t add much butter to be a little healthier. If you prefer to use butter, 1/2 cup of salsa will do. I also added some finely chopped tomatoes to mine!) Try out different flavors of salsa for unique tastes. 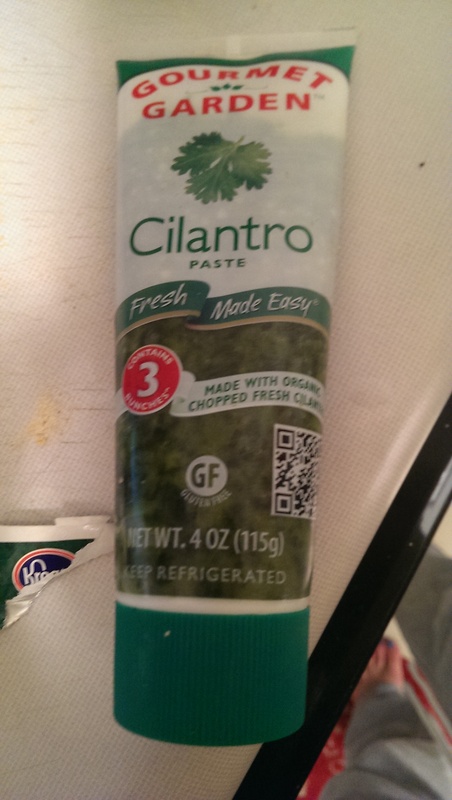 Cilantro (fresh or use the paste mentioned here) add as much or as little as you like. I just added a big glob, probably a tablespoon and a half but would probably add more next time. Voilà! Zip up the bag, stick it in the freezer. Since I work 8 hour shifts I pop it in the crock pot when it is completely frozen and leave it on low for the full 8 hours. When it is thawed or completely fresh 4 hours on low was perfect. Some of the steps are the same so excuse my redundancy. 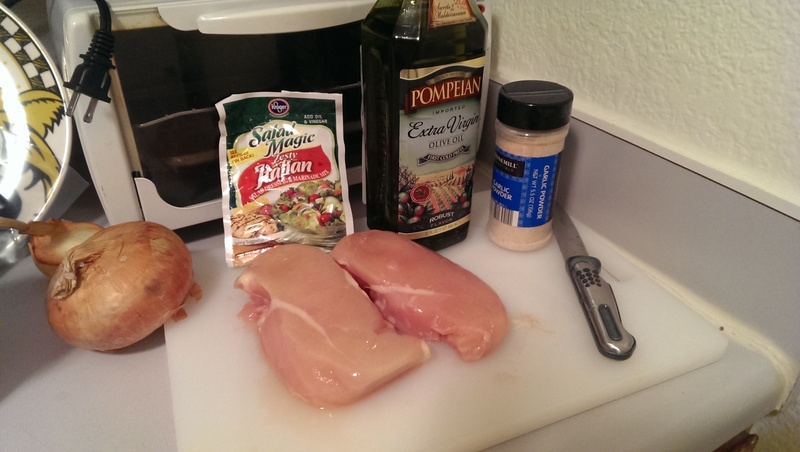 I would recommend using this chicken with pasta. Next time instead of adding butter or oil, I plan to try tomatoes for a red sauce or cream cheese and cream of chicken soup for a creamy alfredo- like sauce. Like usual, I forgot to take photos of the after product because I was too busy eating it. Whoops! 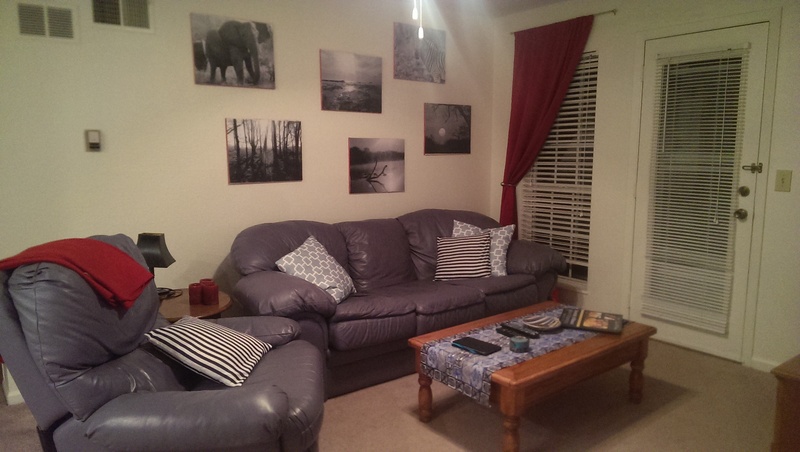 A few weeks ago I finally got around to creating some home décor. Since my apartment is a temporary space, I didn’t want to spend a lot of money, but wanted to hang some things on the walls to make the place feel more like home. 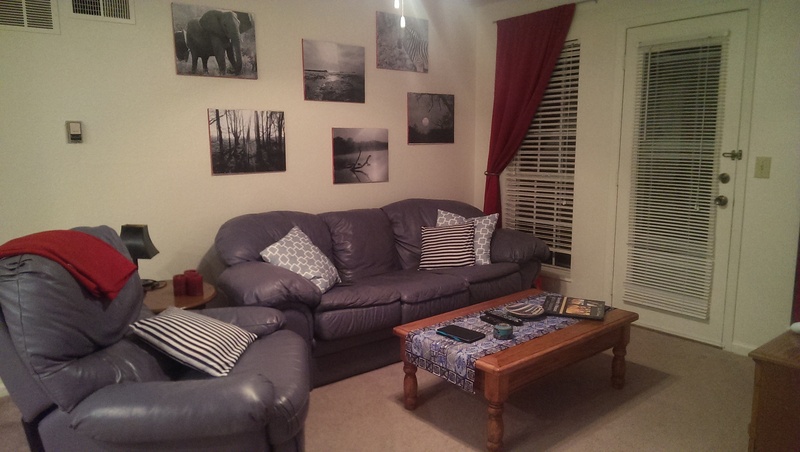 The couch is gray, and I decided to stick with a gray and blue theme with a pop of red. I read up on pinterest and decided to mount some engineer prints on canvases. Engineer prints are very inexpensive black and white prints that can be made at staples. The prints are only a dollar and some change and can be made in big poster sizes. (I may post later on how I mounted them). I put each print on a canvas and painted the edges with red acrylic paint. I really think that people’s decorations can show a lot about a person. I wanted to choose something for my walls that are personal to me. When I started on this project I knew exactly which pictures I wanted to use: pictures I took while studying abroad! 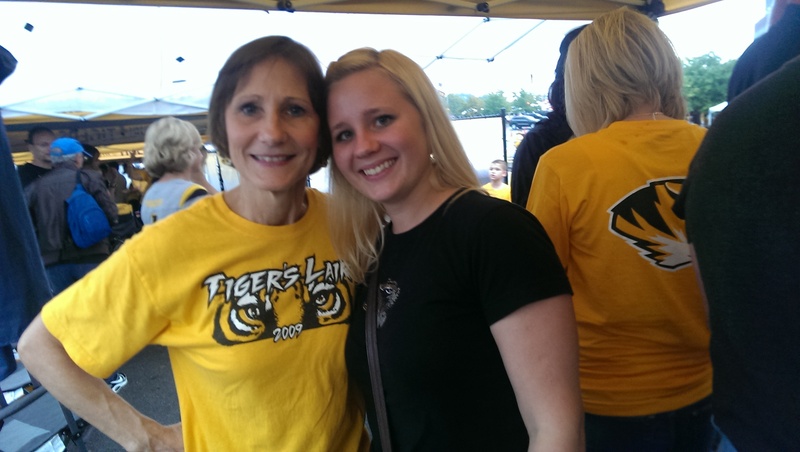 I went on two study abroad trips through the school of engineering at the University of Missouri. Both trips were short term and included a pre-departure class. I spent 10 days in Ireland, and two weeks in South Africa. To read about my experience in South Africa click here and navigate through the trip. I had a hard time choosing my hundreds (literally hundreds) of photos. I decided on six landscape photos. 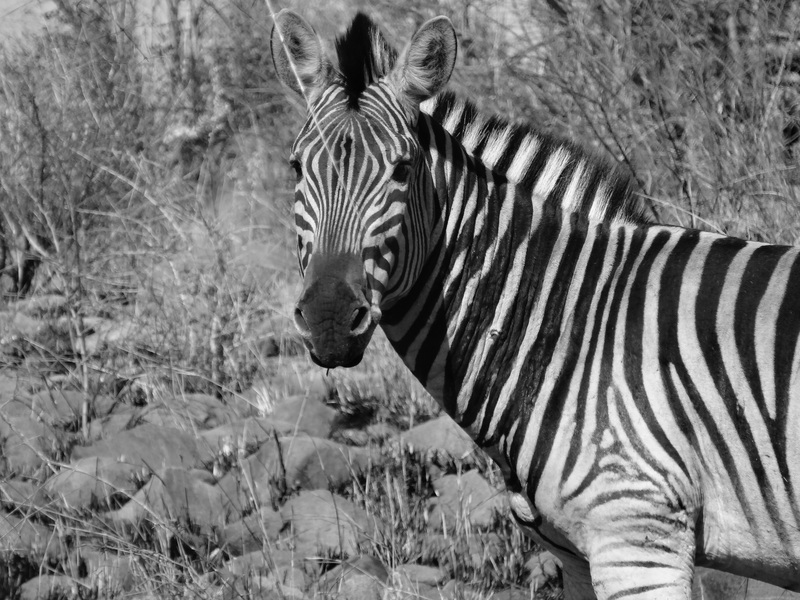 Five were taken in Kruger Park in South Africa, and one from Killarney National Park in Ireland. I absolutely loved how they turned out, and what is even better, is that they all have a great memory attached to them. They make for a great talking piece in my home too! I love reminiscing about these great trips and sharing the stories with others. I thought I would share the photos here and a little bit about the story behind each. I hope you enjoy them as much as I do! This photo was actually taken by Gabby, one of the girls I was lucky to travel with. In this moment were driving in our large van though Kruger park. Some times we drove for a while without seeing any animals, but in this specific point in time, we had a group of elephant on our left, a group of monkeys on the right, and a giraffe coming down the road in front of us. I took some photos of the monkeys on my side and then switched camera’s with Gabby. She snatched this moment right at the perfect moment as the elephant turned her head and flapped her ears. (Thanks Gabby!) We saw so many elephants on this trip, it was so cool. They are definitely beautiful creatures. 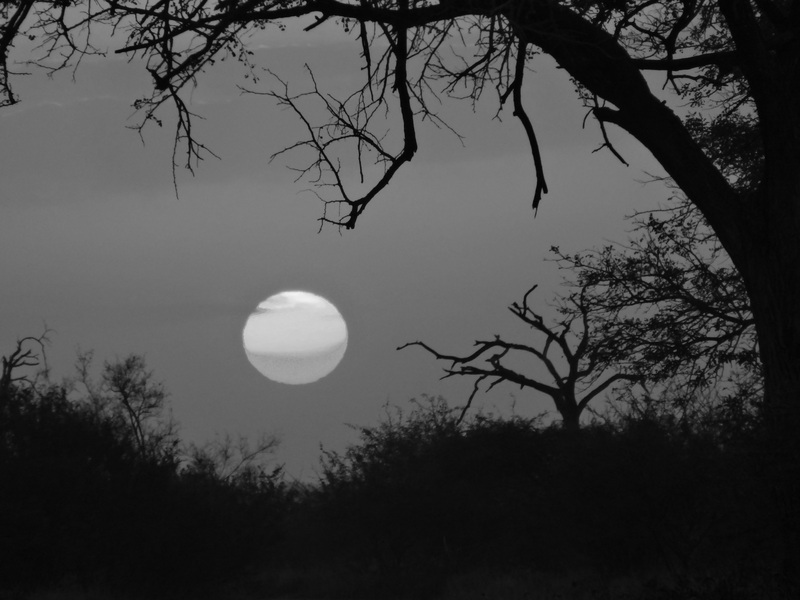 This photo was taken of the sun setting in Kruger on our way back to camp on the second day in the park. I love this one because the trees and landscape really frame the sun in the sky. Even though the sun sets all over the world, I think you can look at this photo and tell this is the sun in Africa! I was not originally going to choose this as one of my prints because the original photo has so many beautiful colors. 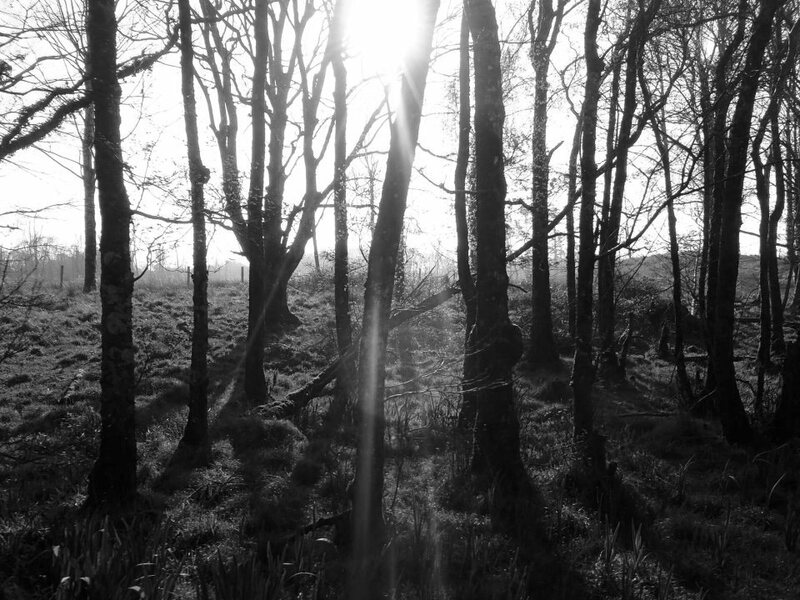 I thought making it black and white would really loose the essence of the photo. When I tried it out, I liked it even with out the colors. It reminds me of the beauty in the terrain. This is the photo I took on the trip in Ireland. We had an early morning in Killarney. We took a guided horse and buggy ride thought a beautiful park over looking a lake. The property had a historic castle, church, and other ancient buildings each with unique stories. The brisk and foggy morning made for a beautiful ride as we learned about the property. The way the morning sun was coming thought these trees really caught my eye. These last two photos are my two favorite! 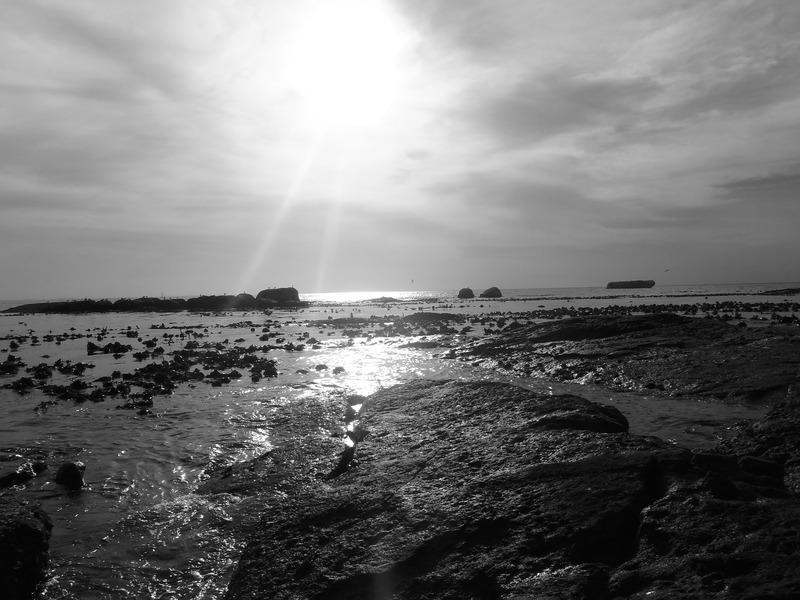 This one was taken on our way down to the Cape of Good Hope in Africa. We stopped to look for penguins (which I never saw), but I loved the way the sun was hitting the water as we climbed on the boulders. When I look out into the ocean I am always taken back by the massiveness of the ocean and our world. The ocean reminds me that I am just one small being in a grand and beautiful world. This moment really humbled me. I like reminding myself that I am just one being in this universe, yet God loves me as if I were the only one. This last photo I talked more about in this post. 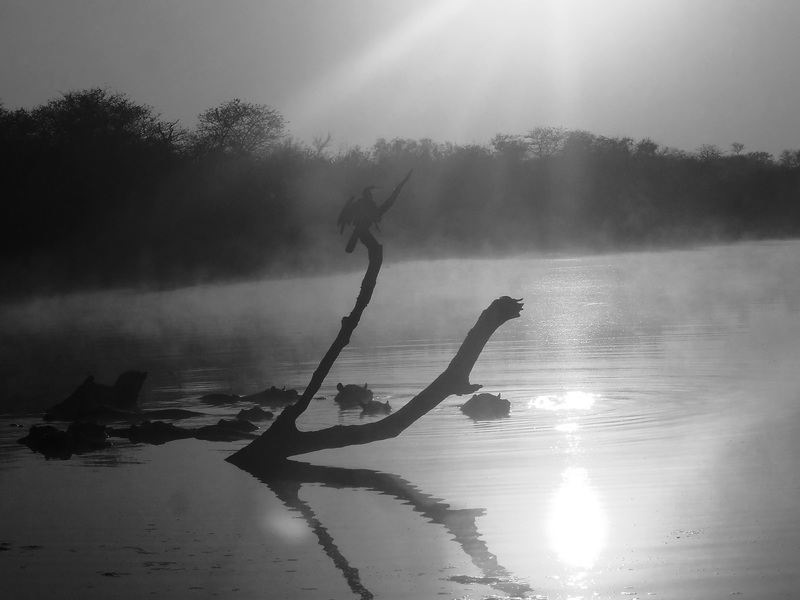 This was taken at a look out place we discovered early morning in Kruger. We sat and watched this scene as the sun rose and changed the color of the sky. We listened as the birds awoke, and as the hippos began to grunt. If you look close you can see the hippos faces popping up near the tree branch. I could have sat in this moment for ever. When some one says “close your eyes and go to a peaceful place” this is it for me! It was so amazing to be in and surrounded by nature. Here I was a girl from the city surrounded by the earth and animals in THEIR home. Here I am about three- four months after the South Africa trip, and I have finally gotten my pictures printed, written on, and in an album. I hope to share them all with you and relive my trips! One last photo of my wall. 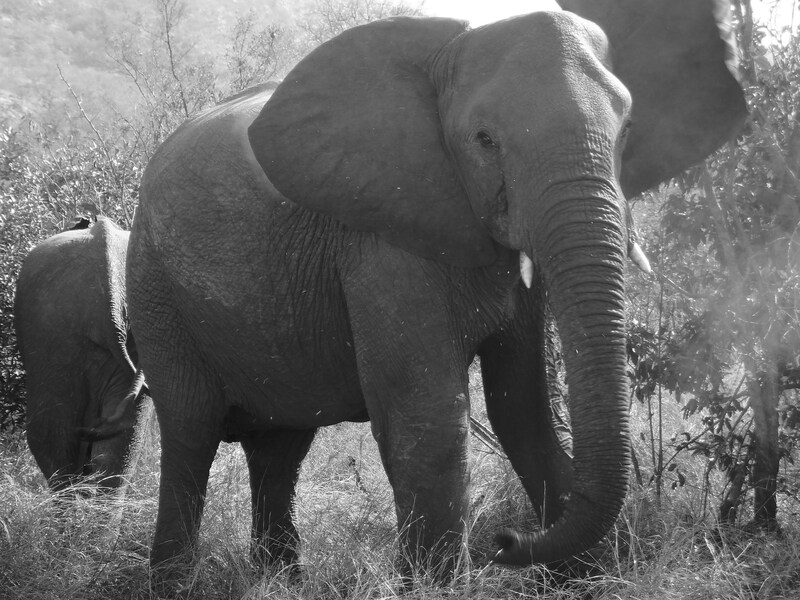 If you would like to read more about the South Africa trip, click here, and navigate though! Thanks for reading! Now that I am settled in my new place, and getting into a rhythm balancing my new job and grow up life, I have been able to start paying some more attention to a few things I have neglected lately. Mainly cooking. My mom is a great cook. She has spoiled my family with a huge database (aka overflowing box of notecards and newspaper clippings) of delicious meals. She changed up her menu often so growing up, we rarely would eat the same meal twice in one month. Mom is a nurse and very tuned into what Dr. Oz, Oprah, and the latest health news, meaning our meals were balanced, nutritious, and delicious! Ever since I can remember Mom got us involved in the kitchen. We started out as her kitchen staff, setting and clearing the table. We moved on to become trusty prep staff, peeling carrots, chopping vegies, and stirring the pot. 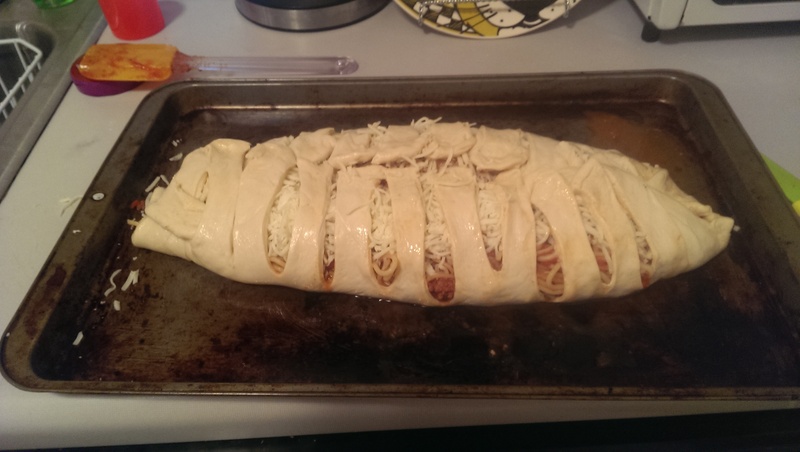 Years of observing and listening to directions has formed me into a pretty confident cook. 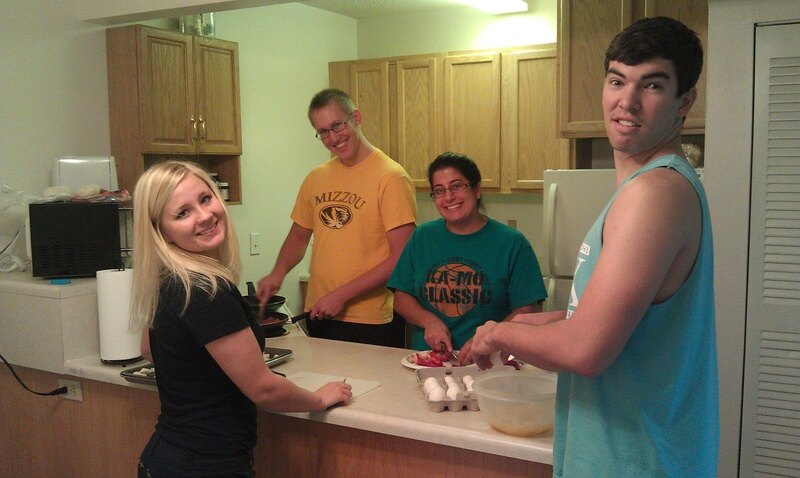 Cooking breakfast burritos with my friends! 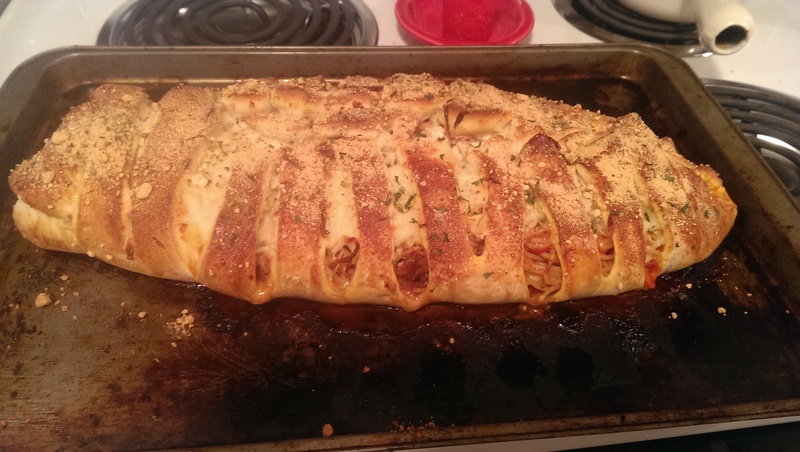 I love to cook…well actually I love to eat. I love cooking by association. 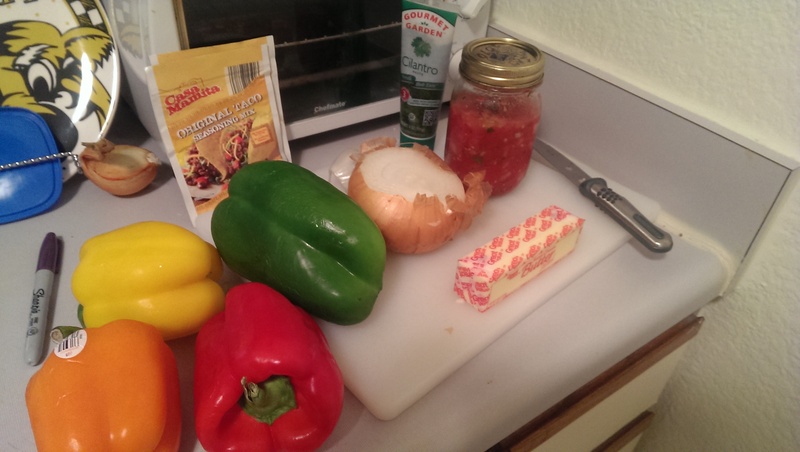 Cooking is much cheaper than eating out, and I love mixing flavors and getting what I want. I can add exactly how much or how little of an ingredient I want. I think cooking is a lot like engineering. 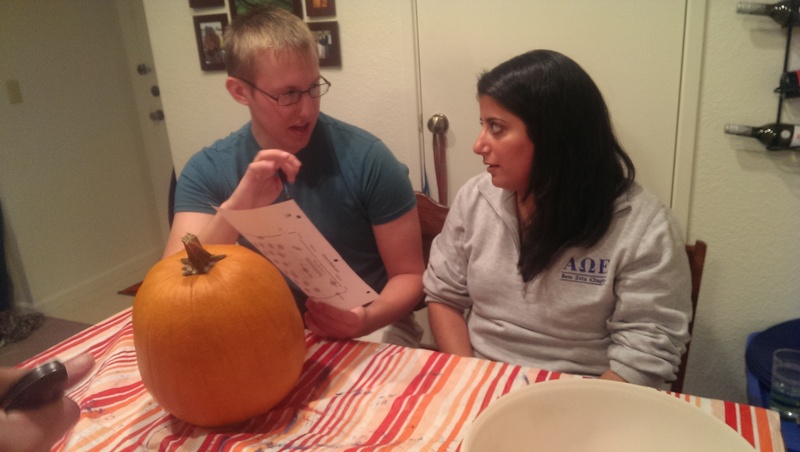 Both cooking and engineering usually have some types of steps to follow, an algorithm, procedure, or recipe. Even though there is a basic guideline, both result in a lot of critical thinking. Things never seem to go as planned. I get creative when I don’t have the ingredients the recipe calls for, or maybe want to substitute a few things to make the dish a little more on the healthy side. Both engineering and cooking also require many conversions, and when balancing the timing of your meal those conversions must be made quickly! Usually when I crave a certain meal, I look up a handful of recipes online and pick a choose a few elements to make a dish of my own. I love sharing my creations with my friends or family and invite them over to eat every chance I get. 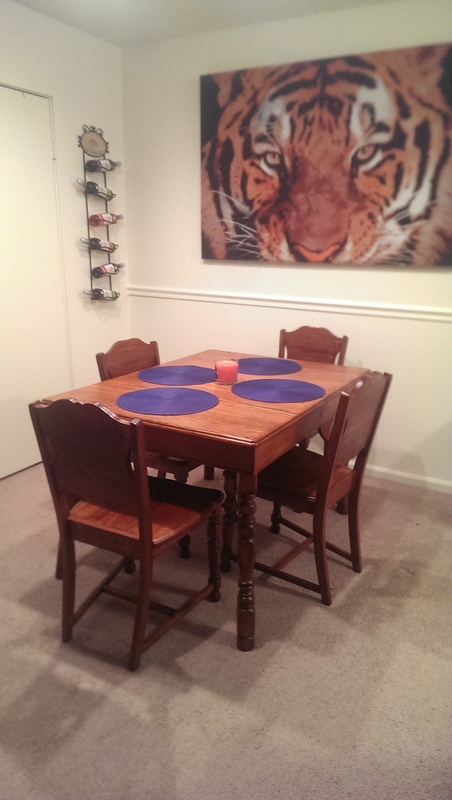 Want to come over for dinner? Grab a seat at the table George and I finished together! Read about it here. I have been whipping up a few things in the kitchen lately that I will be sharing with you soon once I can put my recipes on to paper. Some of these are pinterest creations, some I have come up with on my own, and (with permission) I might even share a few of my mom’s bests! This leads me to one last point. A quick product review! 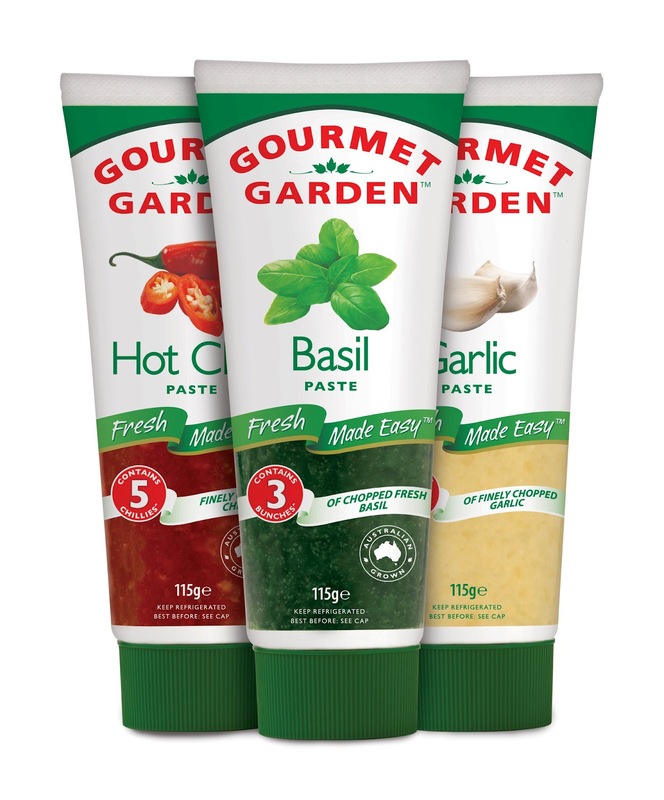 I stumbled across “Gourmet Garden” seasoning pastes by accident, and am totally hooked! I love cooking with fresh flavors as often as I can, but things like fresh basil, cilantro, garlic, and other spices can get expensive if you buy them all the time. Also cooking for just one or two, they usually go bad before you can use them all. For example, I LOVE fresh cilantro! I buy a bundle of it from the produce section to use in chicken tacos. I only use a little bit and struggle to find ways to use more of it all week before it eventually ends up going bad in my fridge. Then I have wasted money, and eaten nothing my cilantro flavored food all week. I imagine I am not the only one that has this problem. Well I have good news, I have found a solution! Gourmet Garden spices and herb pastes! I know, “paste” sounds a little bit gross, but I assure you they are wonderful! These toothpaste-like tubes are jam packed of delicious fresh flavors. Any one who cooks knows that dried cilantro or basil from the spice rack does not at all compare to the real fresh thing. These do! 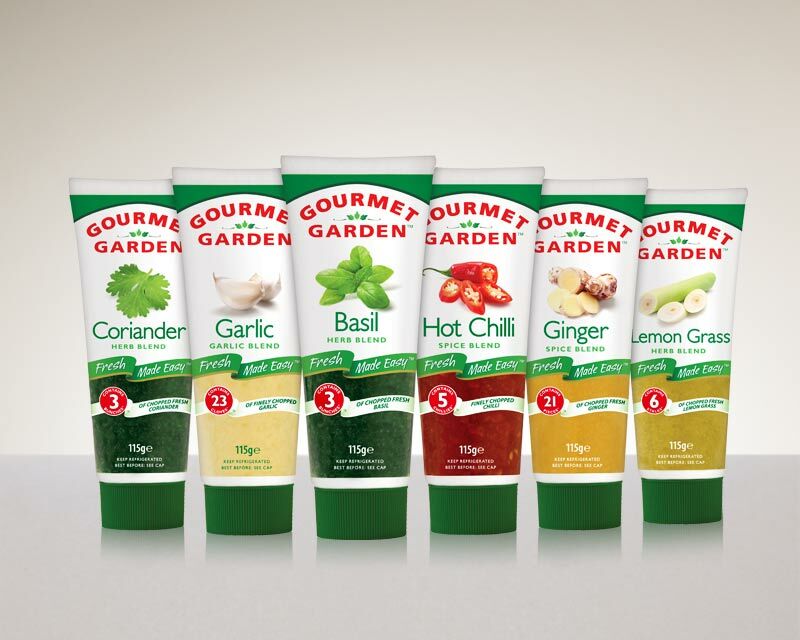 They are available in many flavors including basil, cilantro, garlic, hot chili, ginger, lemon grass, and coriander. 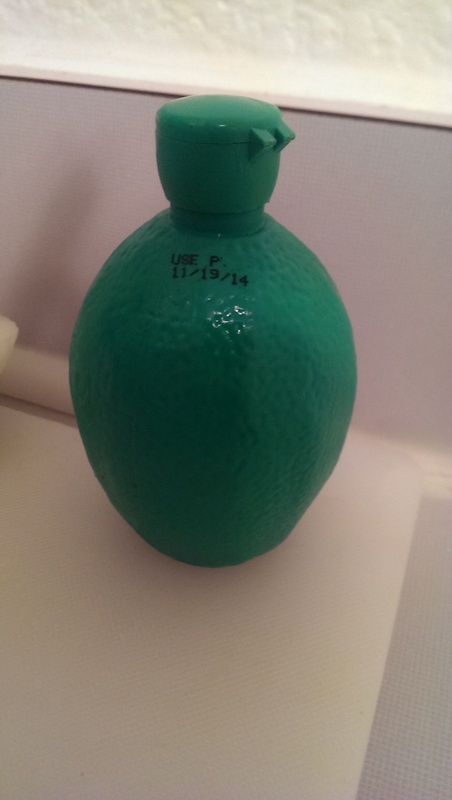 I am not sure who all sells them, but I was able to find them at Wal-mart in the produce section near those cute little lemon and lime juice bottles. Each tube is clearly marked on how much goodness it contains. 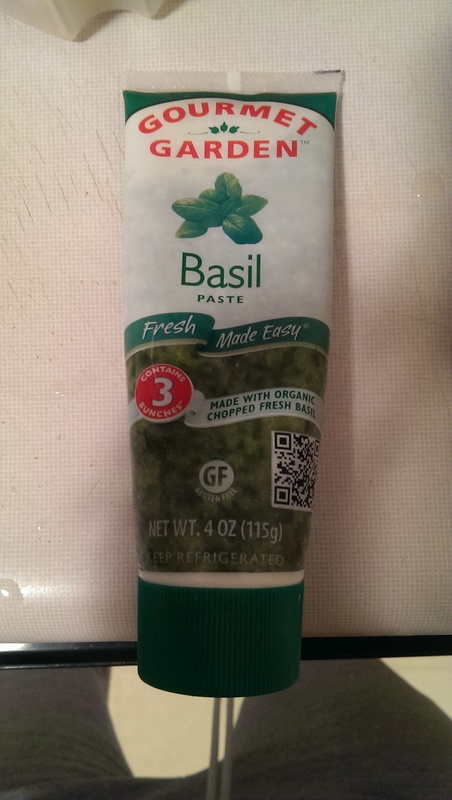 For example, the Basil contains “3 bunches of organic chopped fresh basil”. This is helpful for recipes, and can also just be added based on your taste. 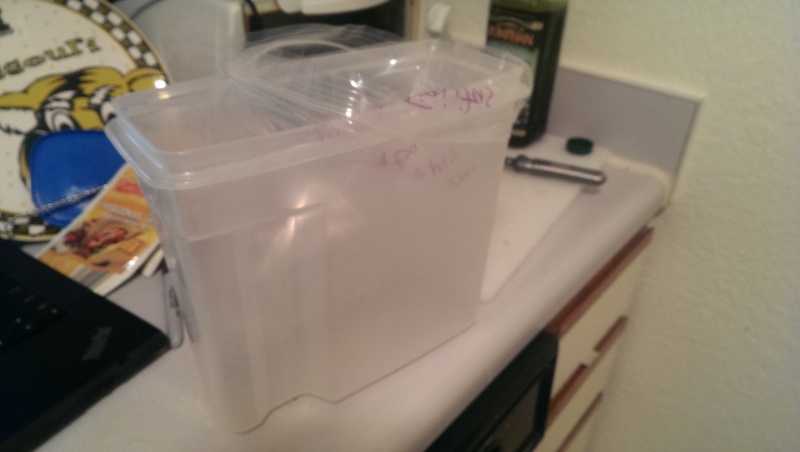 The best thing is it tastes just like the fresh stuff, and you can store it in your fridge for much longer! (They are also gluten free). I totally recommend checking these out! In the next few weeks I will share different ways I have used these in my cooking! I would love to hear what meals you think Gourmet Garden might useful. Share in the comments below!